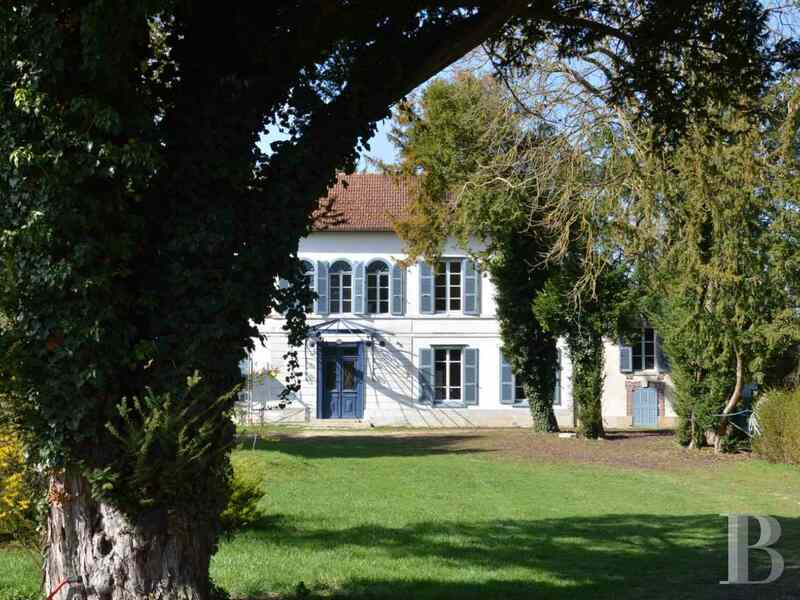 3½ hours from Brussels, 2½ hours from Luxembourg, 2 hours from Paris and 40 minutes from the outstanding medieval town of Troyes. 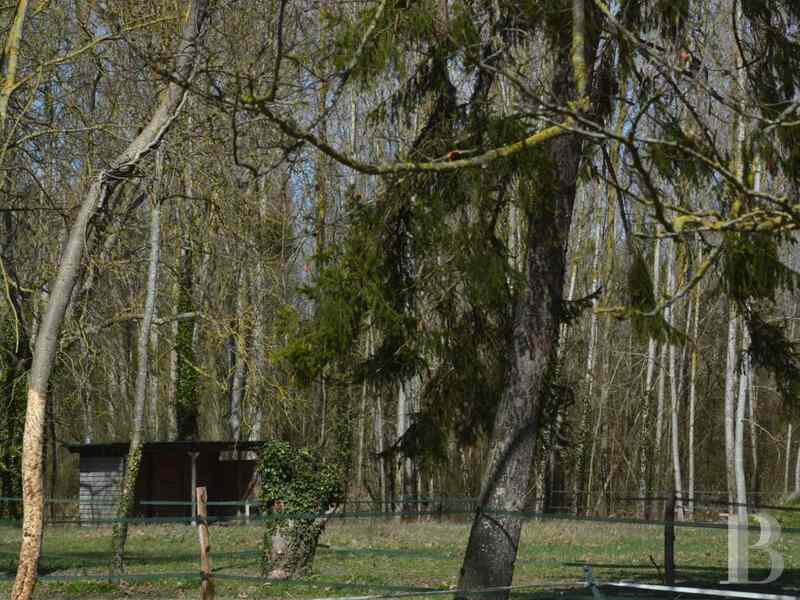 This property stands in a village, with some 200 inhabitants, near to Orient Forest Regional Nature Park, its golf course and its lake. 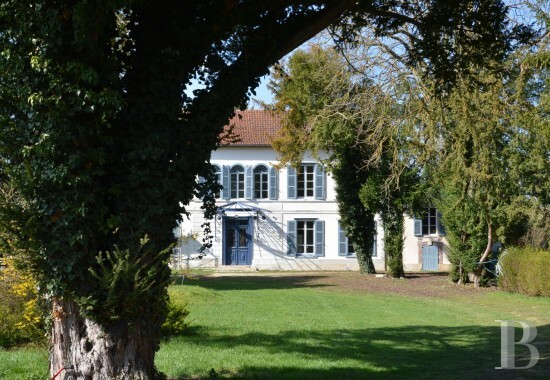 This property, bordered by a little river, is on the outskirts of a village on a little street which turns into a pathway crossing the fields. 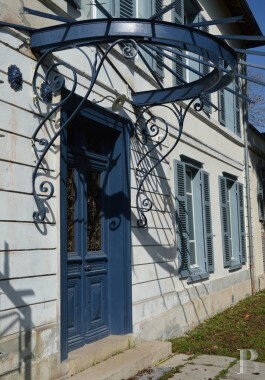 Enclosed by a wall on the street side, it has two entrances via metal gates, the main set of which facing the little chateau, are remote-controlled. 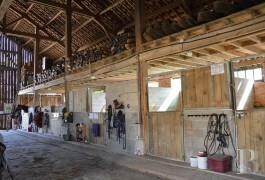 The second set is next to the stable, at the end of the property. 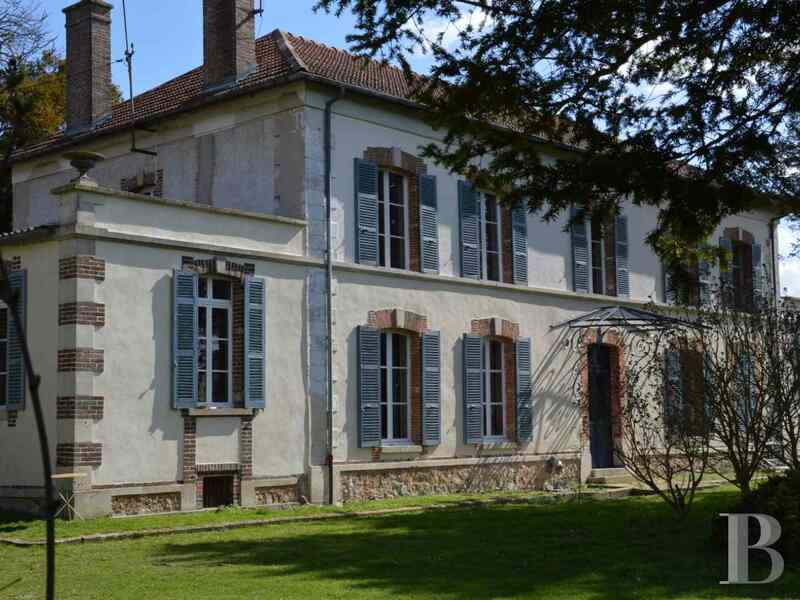 This building was constructed at the beginning of the 19th century by a descendant of the lord of the village, which is why it is known as the “chateau”, even on old picture postcards. 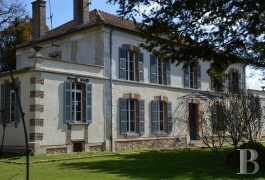 Its external architecture was slightly modified by the addition of two low wings in 1877. 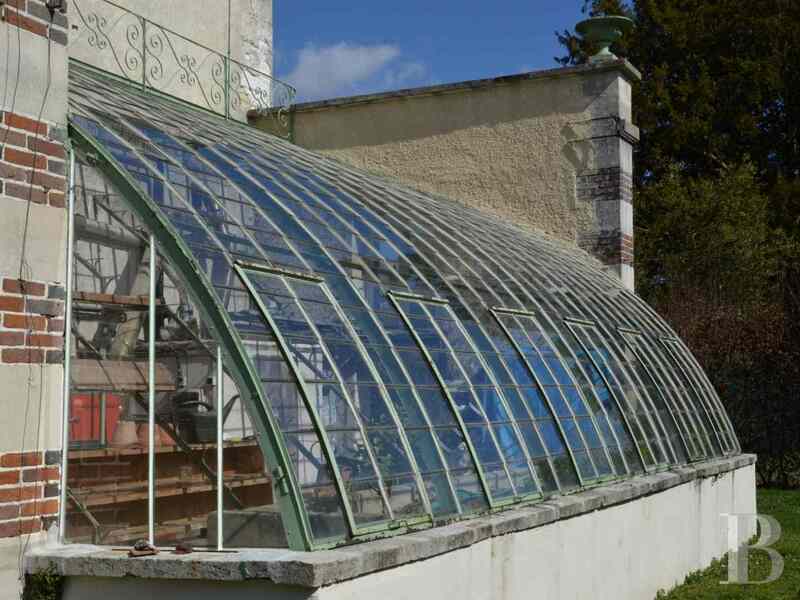 In 1940, following a fire, it lost its slate roof, featuring wrought roof dormers and its triangular pediment. The small neighbouring water tower was part of the initial construction. 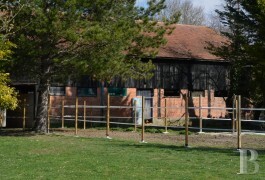 The red brick farm buildings in the parklands have been transformed into a stable and a shed. 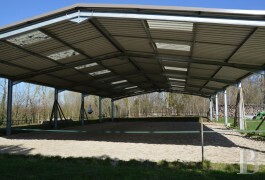 A riding arena, paddocks and a lunge ring were added in 2014. 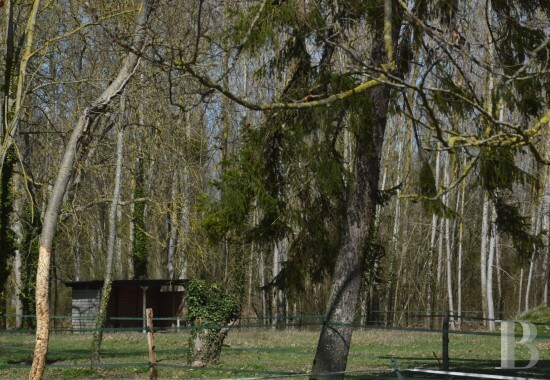 A pasture extends on the other side of the public pathway, opposite the stables. This rectangular building has two low wings. It is laid out over two levels and an attic floor under a roof covered with interlocking tiles. 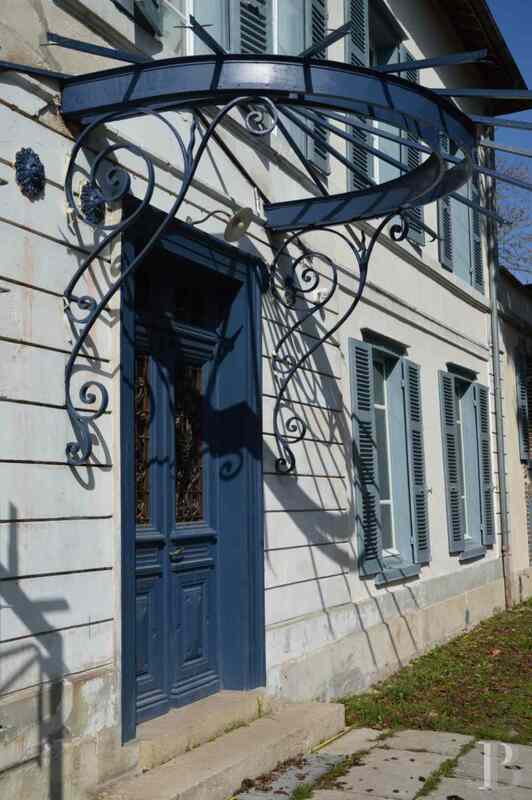 The main facade, still undergoing its final restoration works, is composed of symmetrical openings, with slatted shutters. A central section, composed of dressed stone, flanks the entrance door under its impressive canopy. 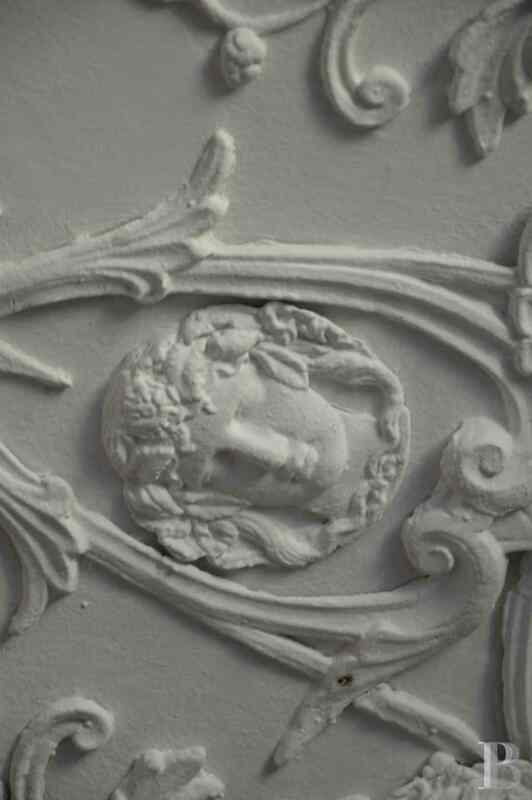 This section is topped with a set of three semi-circular arched windows with upper wrought iron ornamentation. 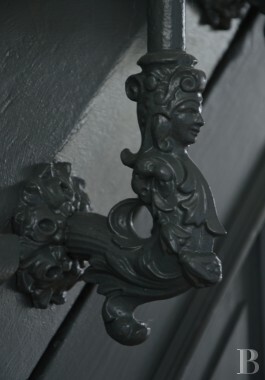 This major feature takes pride of place over the rest. 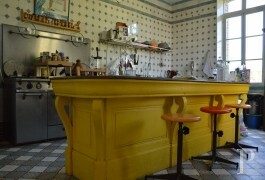 Low wings house a kitchen and an arched conservatory. A stone string course separates the two levels. Whilst the rendering on the main facade conceals a half-timbered framework, that of the rear facade hides quarry stone blocks. The symmetrical openings on the latter facade are topped with brick arches featuring a keystone. Its door is also topped with a canopy. 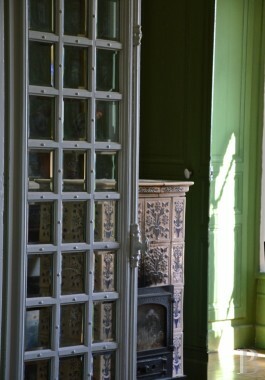 The residence is accessed via double oak wood, partially glazed doors, with wrought iron protecting the glazed sections. 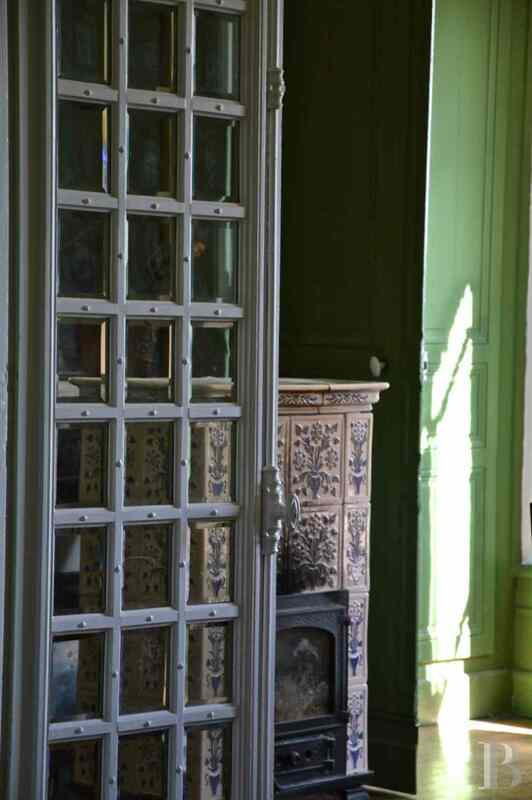 All the rooms still have their original floors and panelling. 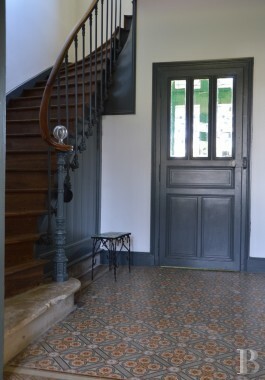 A large entrance hall, paved with cement tiles, is extended by a second smaller hall, housing an oak wood stairway, with wrought iron railings, going upstairs. Opposite is a small shower room with a toilet. 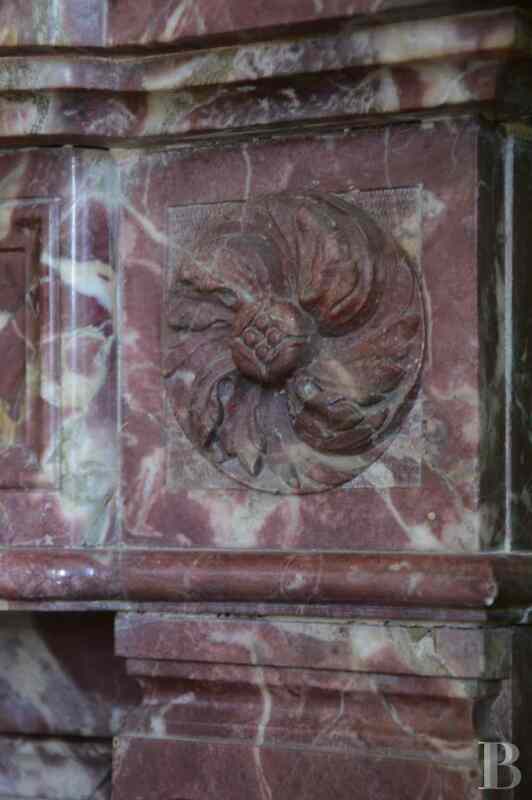 On its left-hand side, a large lounge, with strip pattern oak wood flooring and an 18th century, white marble fireplace, communicates with a study, with similar features. 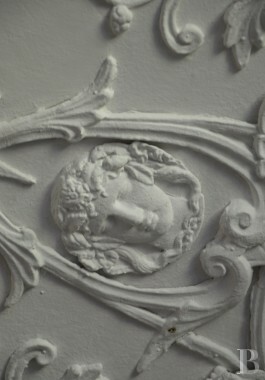 Plaster decoration in the centre of the ceiling combines human faces and lions’ heads. 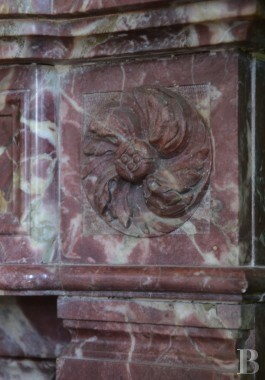 A glazed bookcase flanks a marble fireplace. This room opens into a small vestibule which provides access to the outside via the rear facade. 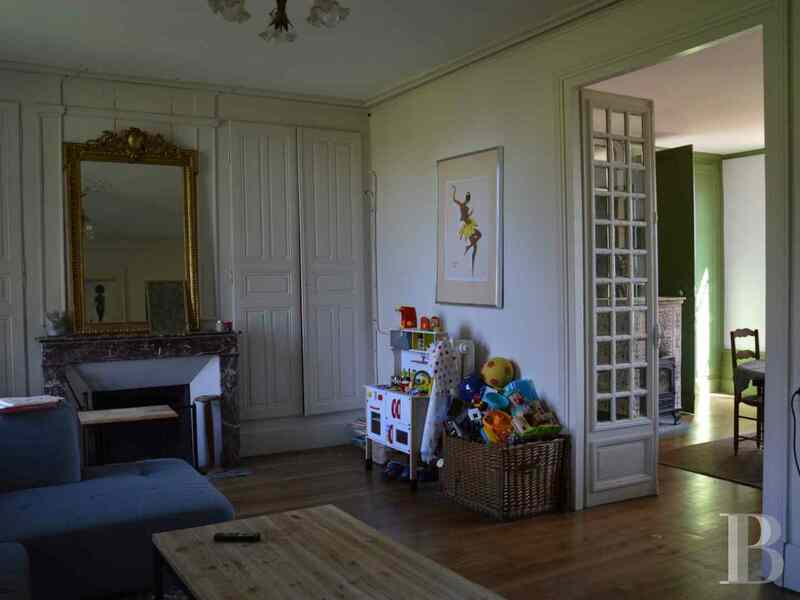 On the right-hand side of the hall, a dining room has oak wood flooring and a marble fireplace, in front of which a large Lorraine-style, ceramic, wood-burning stove takes pride of place. 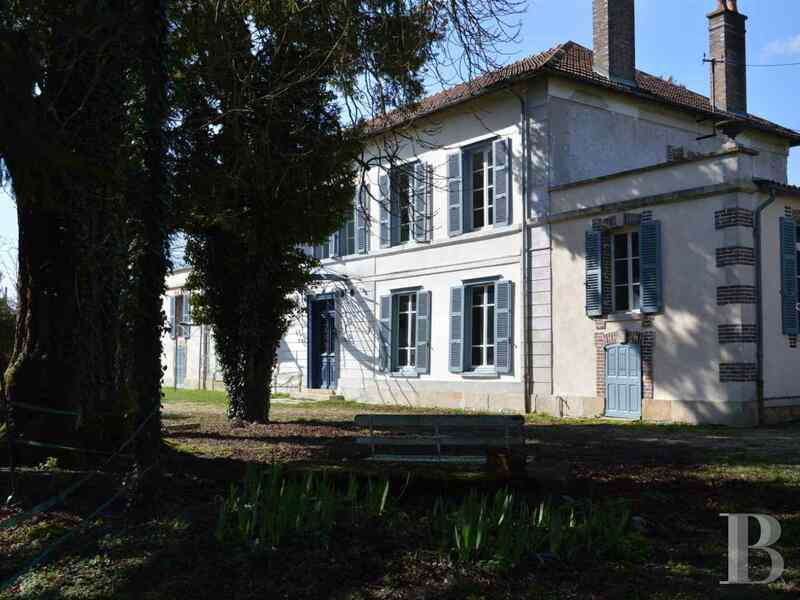 It communicates, on the one hand, with a television room, featuring a marble fireplace, via double glazed doors with small, bevelled panes and, on the other hand, after a few oak wood steps, with a pantry that precedes the kitchen. 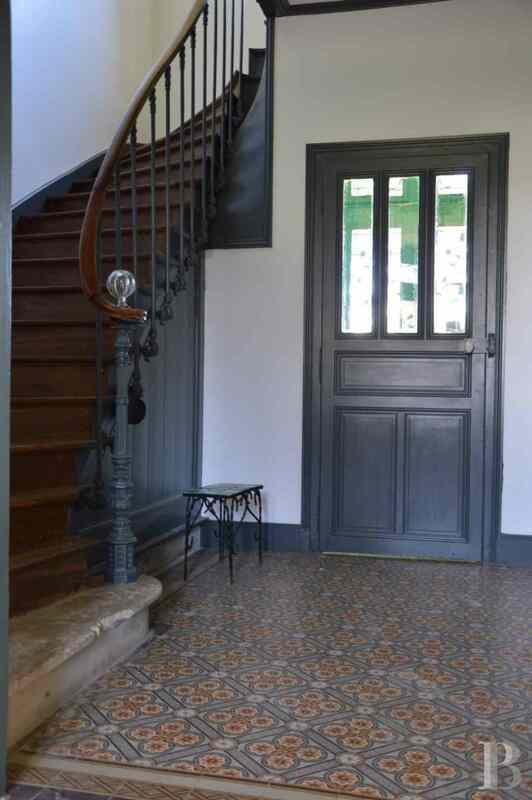 Completely covered with ceramic wall tiles and cement floor tiles, the kitchen has one door leading outside and another leading to the stairs going down to the vaulted cellar. 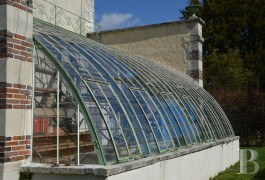 The conservatory houses a wood-burning boiler and an oil-fired boiler. Opposite the landing, an outstanding, fully tiled bathroom, its floor tiles featuring inlaid decoration, comprises two wash-hand basins and a free-standing bath, with eagle’s claw feet. 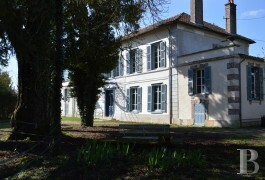 On the right-hand side, on either side of a little corridor, are two bedrooms, with small adjoining rooms, in use as wardrobes, and a toilet at the end. 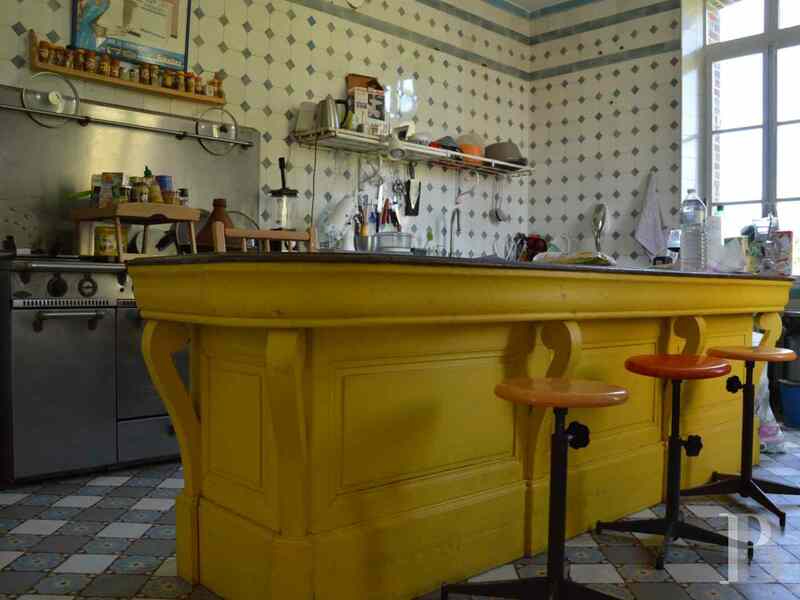 This section has not yet been restored but is in a good overall state of repair, with oak wood flooring, large cupboards and marble fireplaces. On the left-hand side, a second little corridor leads to a bedroom, with a shower room installed behind a little atrium. Opposite, a fourth bedroom communicates with a wardrobe that adjoins the central bathroom. The stairway continues up to the top floor, spanning approx. 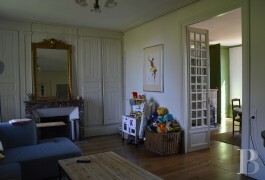 120 m², which is used as attic space. The outbuildings are composed of an unconverted red brick building, spanning approx. 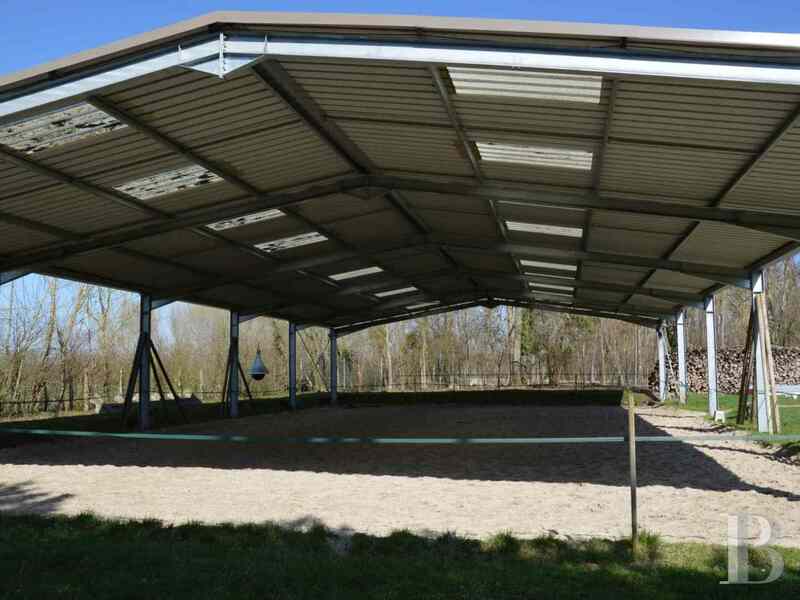 50 m², set back at the back of the residence, an open-sided, 30x15 m riding arena and a 14 m diameter lunge ring, both laid with Fontainebleau sand. 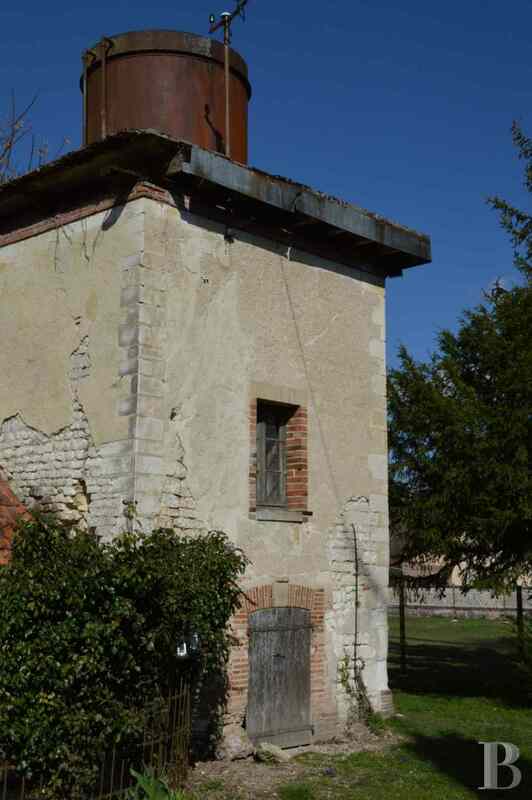 A red brick stable, spanning 350 m², is on the road side. 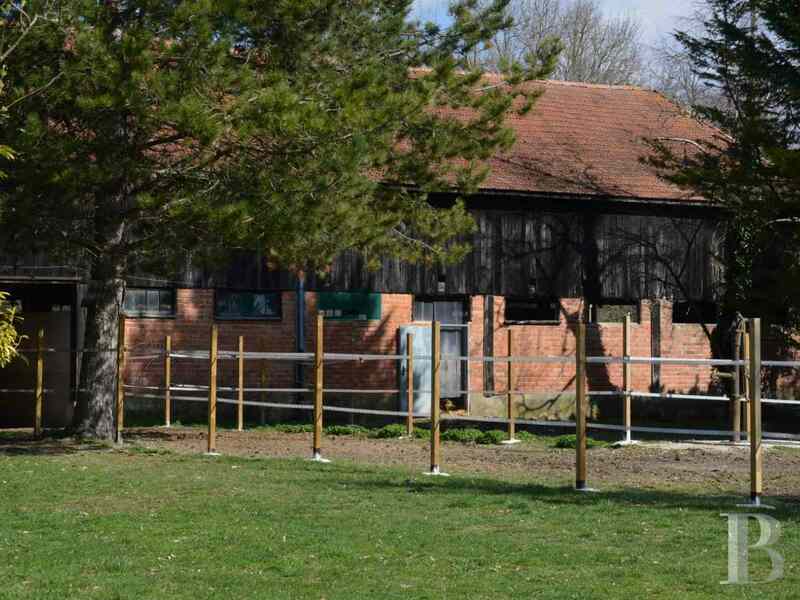 It comprises six 12 m² horse loose boxes, with automatic drinking troughs, but this building could house much more. And lastly, a 2-storey water tower, built over a cellar, stands near to the main residence. Although archives show it being originally topped with a hip roof, it is now dominated by an old tank. The overall appearance of the building reveals a certain unpretentious harmony. The current owners have provided essential modern-day home comforts. Apart from that, the premises remain intact and reflect their original era, whilst exuding a gentle nostalgia for bygone times. Neighbouring properties are pleasant and discreet. 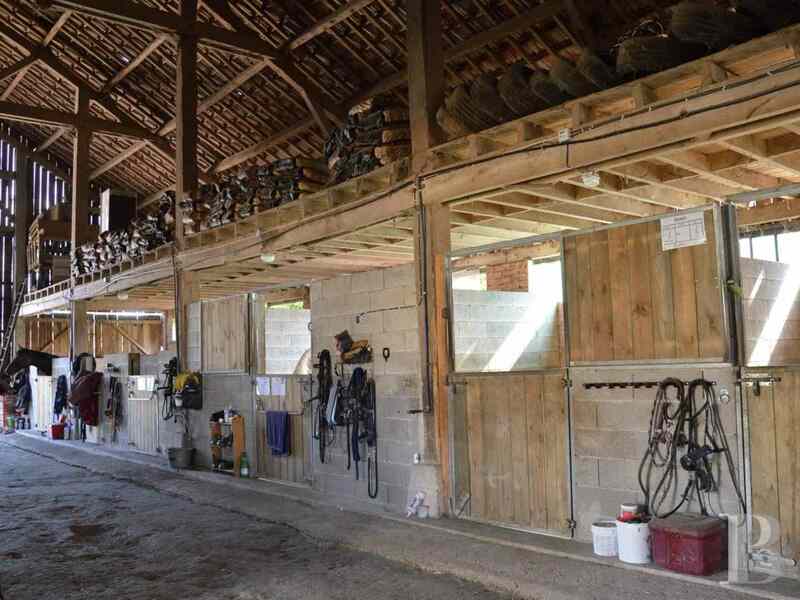 Potential buyers who are not horse lovers could dismantle the riding arena and transform the stables into spacious garages or a second house.